5 for Friday: Stats Edition! Statistical analysis is considered taboo in many circles…especially to those who are not mathematically inclined! I am a fan of it though and have no qualms applying “numbers and analysis” to anything. In the real world of the financial markets that I inhabit, I use such methods for much of what I do. So this afternoon, while taking a break from the markets, I decided to research the numbers of the running world but did not know where to start…so enter GOOGLE! The first piece of analysis I came upon was from Brooks in a study called “The 2016 Global Run Happy Fun Facts.” (Click here for the study) It gave a variety of facts and figures on runner preferences and action. Then I found another report from runningusa.org covering the “state of the sport.” This too provided some interesting insights as well. So today’s #5forFriday will feature some fun facts that I found from this research…(Since I am on a running hiatus and thus have nothing to really share on that front anyhow). NUMBER ONE: Is it a bubble? So one of the major pieces of research I came across was the fact that participation in road racing dropped for a second year in a row…this after climbing every year since 1990! Is this the beginning of larger declines in running events going forward…similar to other types of “trends” that exist in other business, sports and cultures? Every sport goes through these pauses or slowdowns from time to time and then bounces back. Costs to “run” for the average participant have risen over the past few years (from shoes, gear and race fees for example) and as they rise, demand suffers. Simple economics I suppose. NUMBER TWO: 13.1 vs 26.2! The numbers in 2015 showed the half marathon as the 2nd most popular race (behind the 5k). It was also most popular among female runners with a 61% participation rate. The marathon showed the lowest participation rate among runners (3%) and featured more males than females (56% male). Overall marathon events were flat (vs an 8% increase in the half marathon). NUMBER THREE: The Older You are, the longer you run? It is interesting that as the distance of the race increases, so does the average age! The 5k features an average age of 34 years old while the marathon features the average age of 38. The dispersion is not as great on the female side (33-37) as it is on the male side (33-40). NUMBER FOUR: Selfies are mandatory? In the brooks study, the most popular social platform was Facebook and 59% of runners shared their run across social platforms (I guess I am included in this). Also, selfies are mandatory! (Which I am not good at and do rarely). NUMBER FIVE: Running for thoughts! I have shared this many times across my platforms (and not via selfies); running for me clears my mind and allows me to come up with new ideas and ways to handle issues in my life. It allows me to learn (from the audible books) and compete (via races). Well, the brooks survey agrees with most (97%) sharing that running makes their lives better! Well, that is about it for this week’s 5 for Friday! 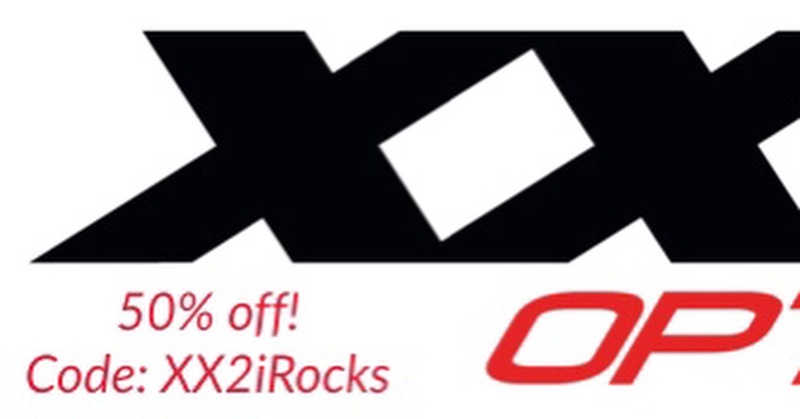 And just in case you missed the XX2i post above, save 50% (yes, that is 50%) off the Austrailia’s at their site! Previous Post All About Motivation! Next Post TR: Follow… follow… unfollow! I totally get Number 3 – I’ve noticed this about myself. I’m 40 and have spent the past 2 years coming away from shorter distances and have been totally focused on the longer distances. Why? Because it take A LOT more work to go as fast as I used to, and even with all the hard work, I don’t go as fast. But I feel like I can run for a long time, so I have been focusing on collecting miles to train for marathons. Great post! Enjoyable read! Thank you and I agree with your thoughts! I am in the same boat – 41 and now focused on marathons and ultras (hopefully though that might be a stretch). Perhaps as we get older, we become more patient to deal with the idea that much work is needed to run long distances? Who knows. Thank you for the comments! Pleasure to meet you, I have taken notice that you have chosen to view my blog page and follow me, appreciate the support, I hope that you will find interest in my page and I am eager to start reading more of your post as well.